Is there anything more humbling or exhilarating than a hike to the top of the World? Grand County has some of the best trails in the state, so we wanted to share a few of our favorite hikes to provide ideas for future exploration. The views are spectacular, the wild flowers are showing their beauty and the tranquility awaits high above the valley floor. From the Winter Park Information Center, follow US Highway 40 south and up the eastern side of Berthoud Pass. There will be a turnout at mile marker 240 notating access to the trailhead. Stay on this lightly trafficked trail, and eventually the Broome Hut will become visible – only a portion of the hut is available for day use, however dogs are not allowed inside. Continue on to the top of the Continental Divide by following the trail around the right of the hut. This trail offers a variety of outdoor activity options, and is best utilized from December – February. Follow US Highway 40 north to the Fraser Valley Center traffic light and turn left onto CR72. The trailhead is located past the Louis Creek Campground and FS159 (on your left), and has a sign that marks the trailhead entrance. Follow the trail to the right, and head up towards the steeper creek side of the trail. From there, the Deadhorse portion of the loop is wider, and more of a gradual decline. This trail starts at the end of Idlewild Road in Downtown Winter Park, just on the right and at the bottom of the old Idlewild Ski Area lift. The beginning is the most steep, and will take you up and around some very tight and rocky switchbacks; you’ll eventually enter dense woods, and then up a hill. Once you make you’re way up top you’ll be able to see breathtaking views of the Winter Park and Fraser Valley. 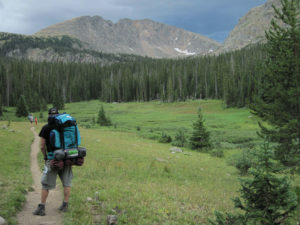 This hidden, lightly trafficked, and well-maintained trail is located near Tabernash, CO (just outside of Fraser) and climbs steeply through forest and beautiful alpine meadows, and will eventually bring you to a stunning glacial lake; turquoise in color, this gorgeous view is complete with a backdrop of multiple 13,000’ peaks. This hike is truly off the beaten path, so take your time and soak in the solitude. Walk along the “spine of the continent” (otherwise known as the Continental Divide), and prepare to traverse through diverse landscapes, scenery and weather conditions. 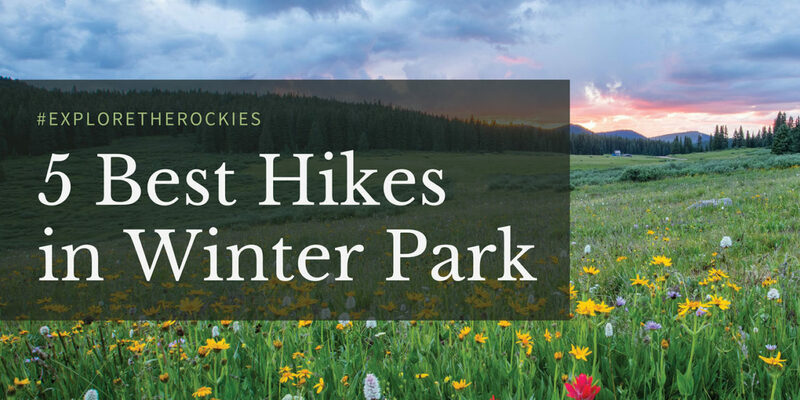 The hike begins at the town site of Corona, and the views are top-notch; they range from the town of Tabernash, to the Winter Park Ski Resort, and of course, Devil’s Thumb Lake. Be sure to pack a snack or two – once you reach the top – sit and relax next to the mountain water. There’s nothing better!